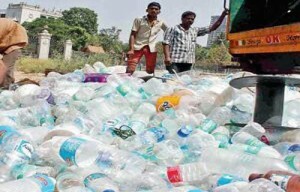 Pune Municipal Corporation’s (PMC) solid waste management department has decided to start using waste plastic materials during the construction of roads, from next month onwards. According to PMC’s solid waste department records, garbage generated by the city has now increased to nearly 1,700 tonnes, of which around 950 tonnes is segregated. The remaining 750 tonnes is mixed waste. 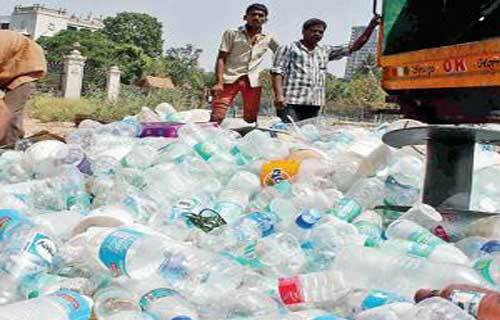 Around 15 per cent of the city’s total garbage generated is plastic. Last year, it was revealed that plastic materials are reducing the processing speed of the garbage processing units. As the bitumen-coated roads have more strength due to polymer bonding, these help in better resistance during monsoons and no potholes are formed. Plastic waste is shredded and then heated upto 160 degrees Celsius, following which it is used to pave the roads. Plastic is cleaned, segregated by different grades, then made into a fine powder and taken to the site of construction. On the site, the powdered plastic is then mixed with bitumen in a hot mixer, which is then laid on the road.